Years of living in Thailand have taught me to never expect anything to look as it does in a picture. This is both a bad thing( sometimes things are much better and I have to contend with my natural pessimism) and a good thing (because, more often than not, things are much, much worse in real life). This land is a place of presentation, ribbons beautifully draped on a box of trash. It’s all about the filters. 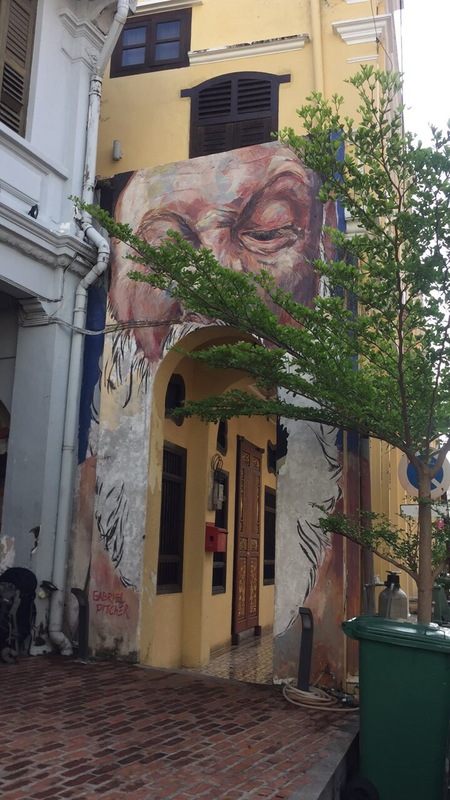 So, it is needless to say that I was not expecting much from Penang, and I was very pleasantly surprised when the little neighborhood surprised me, not by how impressive or groundbreaking it was, but by how simple and real. 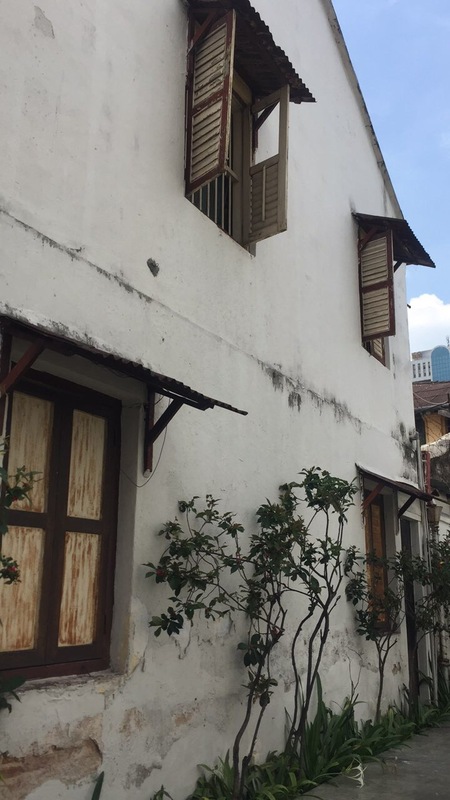 In addition to my (forthcoming) usual “this is” series, here are the things I (and maybe you) could have missed in Penang, and what I am so glad I didn’t miss. 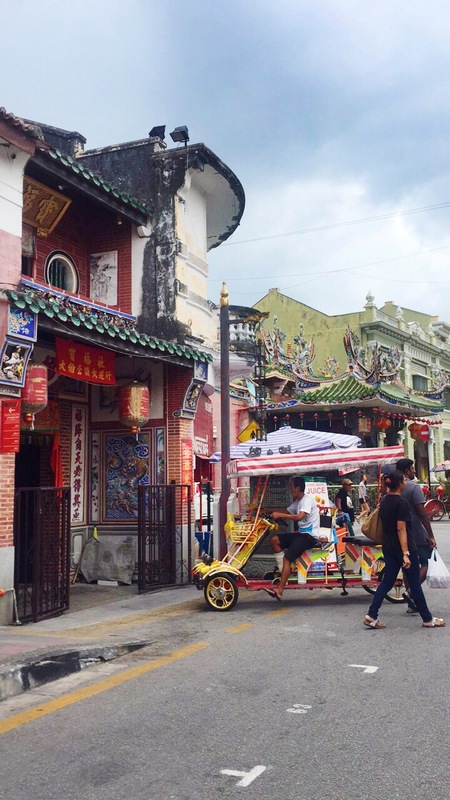 Food: everyone who even hears a snippet of the word “Penang” will practically attack you with recommendations to “eat everything!” And while they are GENERALLY right, don’t take that to mean that all the food in Penang is sent from heaven and could do no wrong. The good: yes! 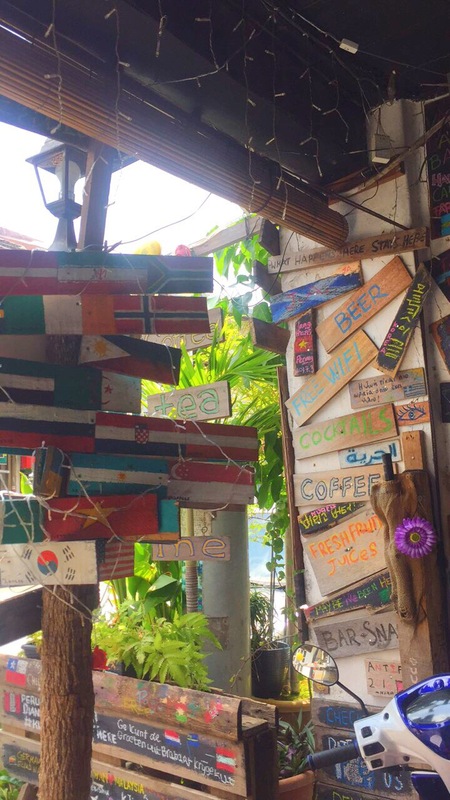 There is awesome food, and a great variety of cuisines from which to choose, thanks to the country’s diverse set of cultures which includes Malay, Indian, and Chinese. Street vendors are everywhere, and that spicy, slightly sweet sambal is generously given out with every plate of Nasi+whatever you’re having. 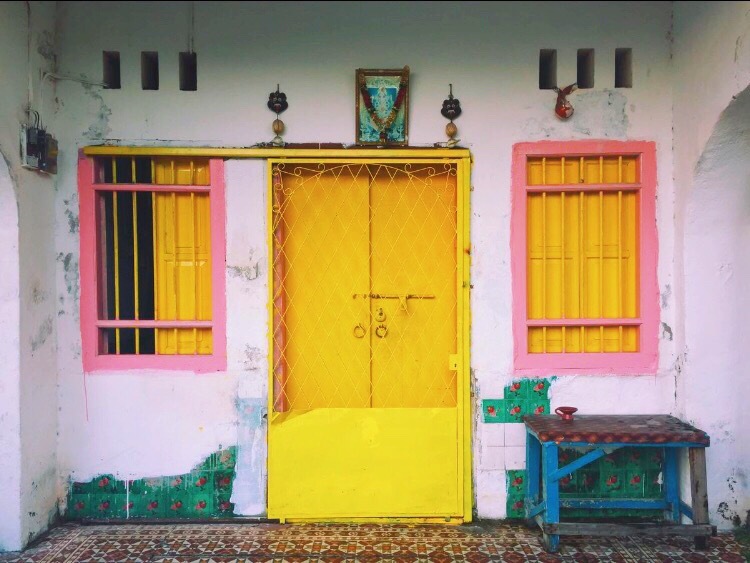 The bad: a lot of places are totally overrated and you should trust your own instincts over whatever travel bloggers tell you (ahem). Let’s take, for example, the so-called “best tandoori in Penang” at Restoran Kapitan was actually nothing to write home about. Now, take the unremarkable tandoori, burnt naan, and a rotting bowl of daal that more closely resembled discolored water and add to it a waiter who was giving me very overt man-eyes and you can imagine why the whole experience just turned my stomach. 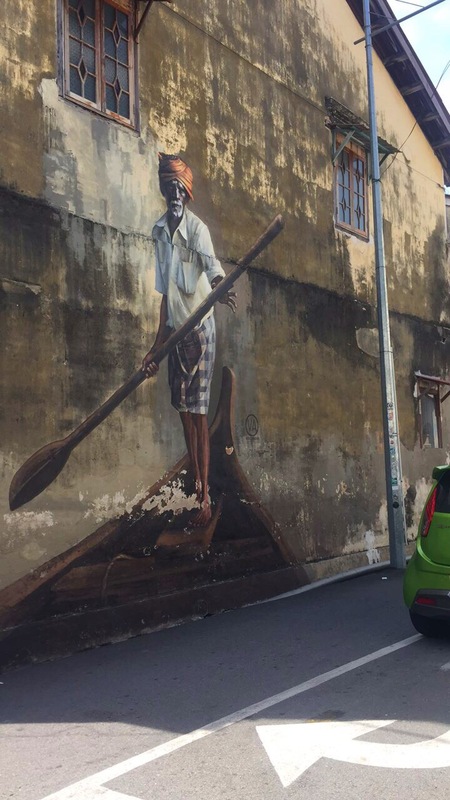 The street art scene, especially in Georgetown, is not to be missed, but only if you don’t mind following a large crowd of camera toting tour groups who are also doing the same thing as you. 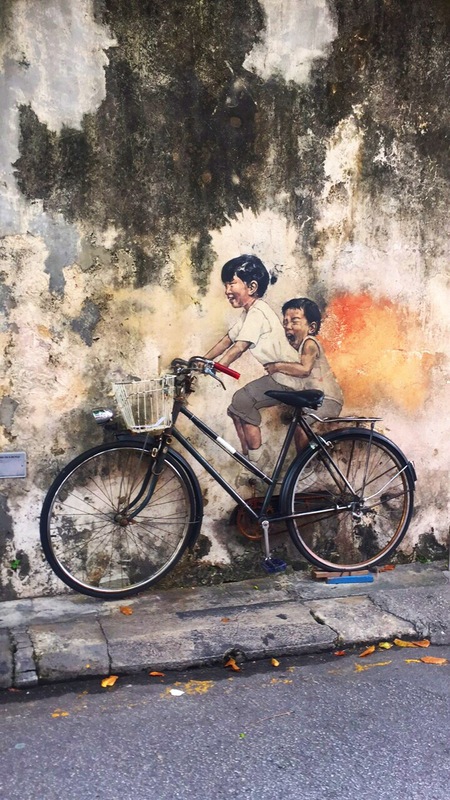 The Penang-based Lithuanian artists Ernest Zacharevic murals are undoubtedly the most famous, and his use of real materials (such as motorcycles, bikes, real windows, and real chairs) makes his work really engaging and I found myself having an emotional reaction to some pieces. 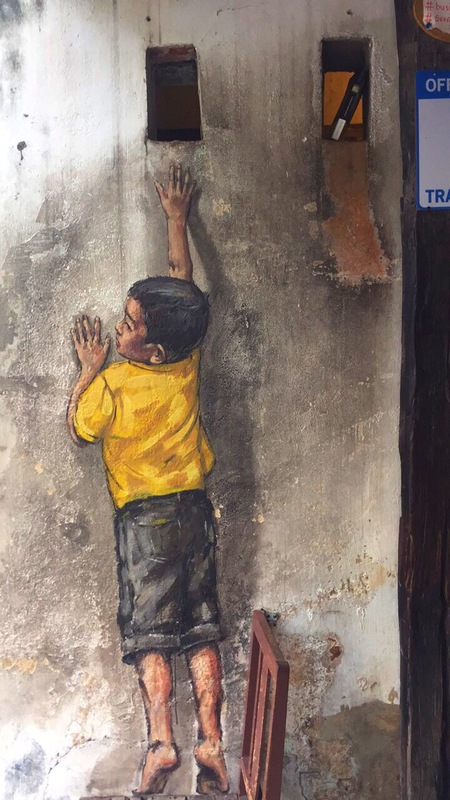 However, you would be doing yourself a massive disservice if you only focus on the “famous” street art and miss out on the other murals painted by the usual graffiti artists, the ones who are often overlooked and in some places even criminalized. Beach? Lol no. 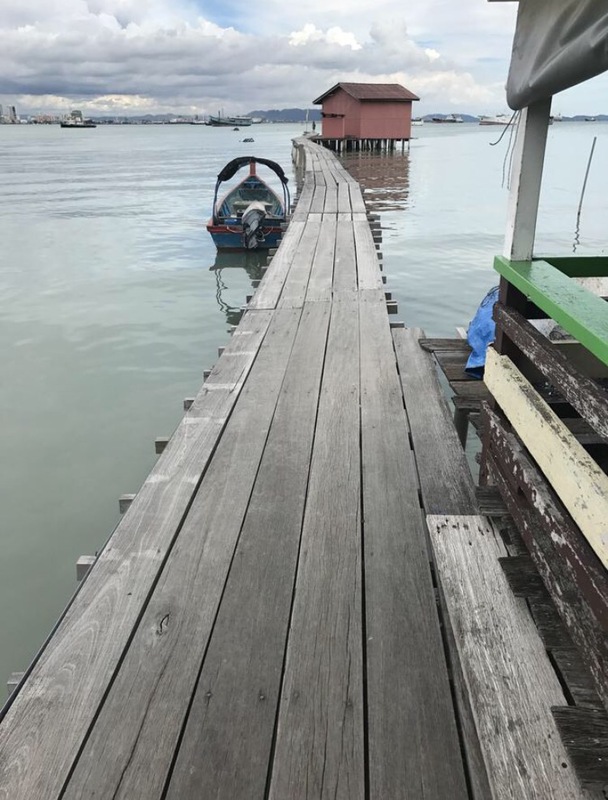 Penang is an island, right? Right. But is the beach worth the trek, especially if you’re staying in Georgetown? I’m going with a resounding “no” here. First, let me admit that I live with a debilitating fear of regret. At any given time of having to make a decision, I am twisting and turning with fear of doing or not doing something and how i will regret it later. Never mind what this means for my overall quality of life and just understand that even though I didn’t expect the Penang beach scene to be anything to look forward to, I was afraid that if I didn’t get “the full experience” I would somehow regret it. So, I hopped on the 101 bus and headed straight to Batu Ferenghi, (after first going in the opposite direction by mistake). After a 40 minute roller coaster/ bus ride that I am VERY thankful to have survived, I was dropped off on the doorsteps of a resort. One of those “all inclusive, you can say you went to a different country but the only locals you’ll ever have to see are the employees at this resort” places. I walked down behind the resort to the public access beach, and quickly turned around when I realized that the only regret would have been wasting my time there when I could be doing something else far more interesting. Like walking around Georgetown. Backpackers sitting outside their hostels near Love Lane, always eager to make a new friend and even more eager to share their travel stories. Every charming shop house and old Chinese auntie who told me my people must come from India because I look like them, la. The art, the famous and the obscure. How ubiquitous and commonplace it was to the street food vendors and souvenir hawkers. The colors of Georgetown. What a bright, beautiful, simple little town. It captured my attention. 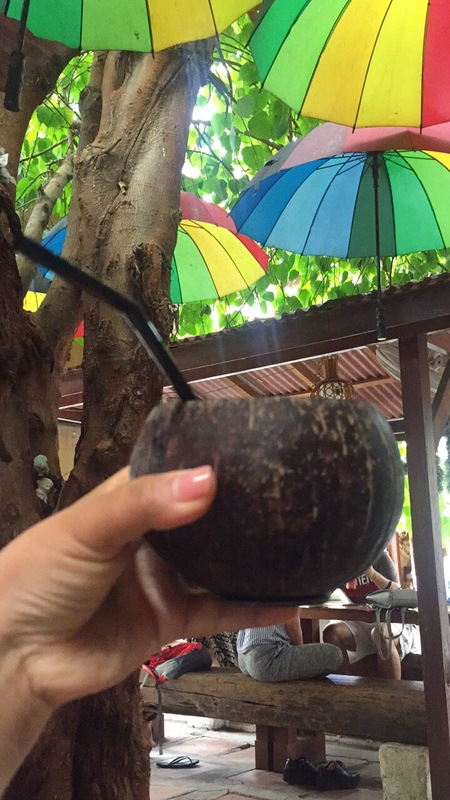 The little old man who runs Busy Bodhi Cafe under the umbrellas and that gorgeous old tree. I felt spent a few hours just listening to his stories of traveling around in the 80s, “when money was cheaper and people were nicer.” That little man’s energy and the can of Coca Cola he poured into a coconut shell for me left me feeling renewed.